Elite vertical blinds combine beauty, easy maintenance, and excellent light control with a rich variety of textures, patterns, and over 450 colours. We offer our verticals with custom quality vanes made from a wide selection of fabrics, vinyl, or aluminum. 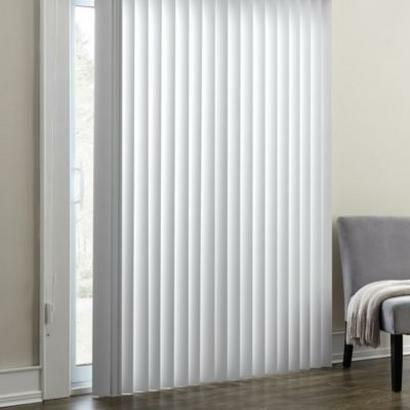 So whether you are looking for maximum light control, exquisite design, or a simple yet versatile product, Elite vertical blinds offer the perfect fit for you. Top off your Elite custom vertical blind with any of our four types of decorative valances. The Decor, Deluxe, Elite Valance and Double Elite Valance are all excellent choices to enhance the overall beauty of any vertical blind. 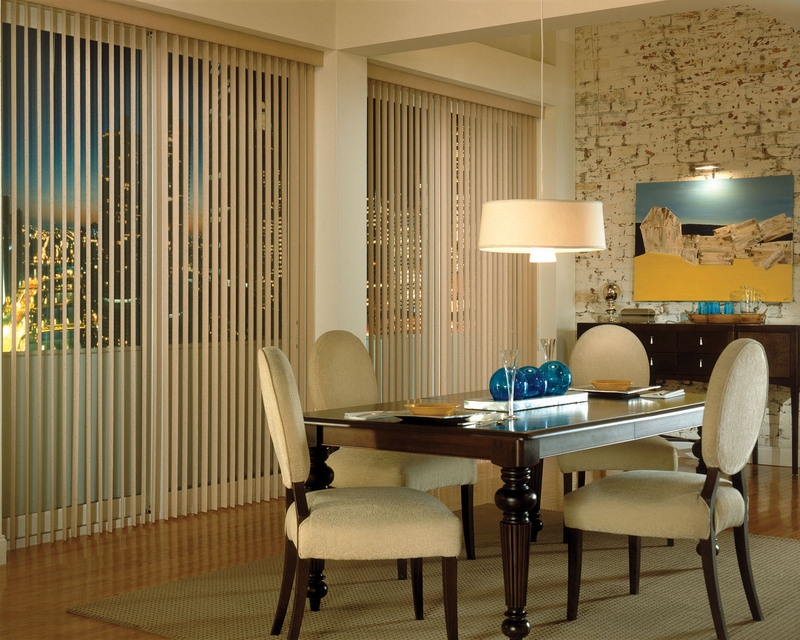 Sheer Elite® is a unique product that combines the softness of sheer drapery with the light control features of vertical blinds. The louvers can be tilted open to softly filter light into a room or can be completely drawn aside letting as much or as little light in as you desire. When closed, light is blocked out allowing for sheer privacy. Sheer Elite® offers a beautiful 5″ bottom hem that ensures durability and provides a distinctive finished look. Elite’s unique hanging system allows for the fabric to fall naturally and also comes with a matching luxurious 3 1/2″ gathered Elite Valance.